Introduction: Instances of misinformation about pesticides that understate the dangers they present have appeared in non-traditional sources, as three examples, below in “Pesticide Misinformation Taking Place Around Us” illustrate. Critical analysis and fact-based responses can help the public evaluate such material. Public awareness of pesticides’ adverse effects can evolve from grassroots actions resulting in legislation leading to a reduction in chemical pesticide use on residential landscaping, as recently took place in Maryland. 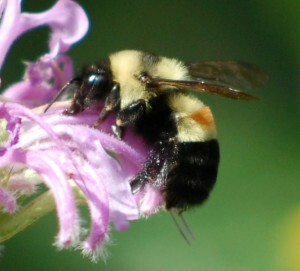 Awareness can accompany the designation of a new endangered species such as when the Obama administration listed the rusty-patched bumblebee and in the process noted the need for reducing use of pesticides around this species in order for its population to recover. An investigative journalist’s piece from The New York Times reveals unsavory company attempts to shield pesticide-type products from the impacts of adverse findings made by independent research scientists. It shows an organization willing to put promoting a pesticide product first regardless of the long term consequences. Allowing pesticide misinformation to stand uncorrected is hazardous for our democratic society that depends on the public having access to reliable data in order to make accurate decisions that can preserve human health and a healthy environment. The public has a right to know the truth in the form of science-based information about chemical pesticides. RCLA encourages greater exchange of ideas on this important topic in 2017. Historic Note: This is not a new problem; examples of pesticide misinformation being transmitted to citizens by governmental organizations, the chemical industry and other sources were detailed in Silent Spring. Carson’s book presented accurate toxicological data describing the dangers posed by chemical pesticides to help balance the promotional-type information coming from chemical manufacturers and other supporters. 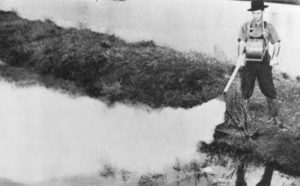 Silent Spring helped initiate actions by citizens to ban DDT in various localities and subsequently led to a nationwide ban on it by the USEPA. Other chemicals were banned as well. Today, newer pesticides are on the market and the problem continues. 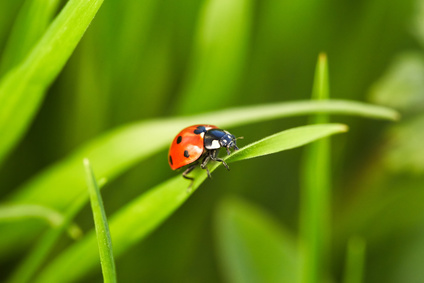 Local jurisdictions, seeking to educate citizens about the hazards of current pest control chemicals may have been thwarted in such efforts as a result of highly organized, well financed pro-pesticide campaigns generated by chemical and landscaping industries. Misinformation about pesticides to promote product sales occurs on a regular basis through various sophisticated channels, that do not lend themselves to easy identification as to sources. Traditional sources of pesticide information in advertizing copy may or may not be subject to review by government regulators before release. Risks associated with the use of these pesticide products may not be accurately presented to the public in such promotional pieces. The public, however, is aware that these are advertisements. TWO) Stakeholder groups misrepresenting their mission. A group with ostensible concerns about the hazards of pesticides (especially neonicotinoids) to honey bees, was actually found to be representing the interests of pesticide manufacturers. Members of the group created a report absolving pesticides of any threat to bees and instead placing the blame for declining honey bee populations on the varroa mite. A beekeeper who had joined the group discovered this hidden agenda and described it in an article appearing in the American Bee Journal (see “Beekeeping Stakeholder” by Luke Goembel in Dec. 2016 American Bee Journal). THREE) An organization with a scientific-sounding name (“The Genetic Literacy Project”) producing an article that wrongly attributed conclusions to an actual scientific study. The deliberately misleading information favored and supported use of harmful pesticides around bees. The misleading article “USDA study concludes neonics not driving bee deaths-As White House set to announce `bee revival’ plan,” reported that a neonicotinoid insecticide was found harmless to honeybees. The article contained a vague reference to an actual study and an inaccurate paraphrasing of the results. 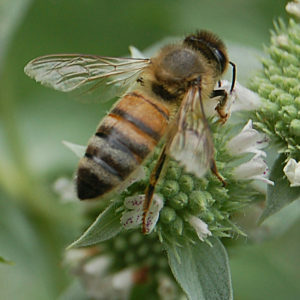 After locating and checking the actual study publication, “Assessment of Chronic Effects of Imidacloprid on Honey Bee Colony Health, by Dively et al, RCLA discovered that the neonicotinoid insecticide had been found harmful to honeybees and that this was clearly stated in the reported results. The technique used to create the misleading information in this case was to report only the short term portion of the findings of an actual long term scientific study while being vague about the study’s title, publication date etc so that any attempt at fact checking would be difficult. (2015 Fact Check piece on RCLA web site). The above illustrations are based on spontaneous actions by private citizens who sought to share with the public examples of pesticide misinformation. Government agencies as well as investigative reporters can play a role in transmitting information about pesticide hazards to the public. Note: Since the late 1990s the population of the rusty-patched bumblebee has declined by nearly 90%. Part of the reason given for this loss is pesticide use. The bumblebee decline represents loss of biodiversity and loss of a pollinator that contributes to the production of our food crops and to our forests, parks and meadows and the abundant life they support. Neonicotinoid insecticides have been linked to the bee population declines. Herbicides that prevent the growth of weeds and wildflowers along roadsides, field margins and in agricultural and residential areas also contribute to the decline in this and other wild bee populations. TWO) Passage of The Maryland Pollinator Protection Act of 2016. This is intended to reduce pollinators’ exposure to neonicotinoid insecticides through a statewide ban on the sale and use of these chemicals by consumers for things such as lawn and garden care. (“Beekeeping Stakeholder” by Luke Goembel in Dec. 2016 American Bee Journal). THREE) News articles by investigative reporters, a recent example of which revealed the ways used by some corporations to prevent the public learning about adverse effects on non-target organisms by an industry product such as a chemical pesticide, or a GMO crop designed to produce a pesticidal effect. FOUR) There is the banning in Montgomery County, Maryland of certain hazardous chemical pesticides for cosmetic use on residential turf. Known as Bill 52-14 and the Healthy Lawns Act, this legislation is scheduled to take effect in January 2018. This is a legitimate health-centered, fiscally- responsible action. It addresses citizens’ concerns about exposure of children, the elderly, pregnant women, pets and wildlife to hazardous chemical pesticides that have been associated with an array of human health problems such as allergies, neurological conditions, cancer and Parkinson’s Disease. Further, banning applications of hazardous chemicals can benefit the pesticide applicators and similar workers who would otherwise be exposed to these chemicals on a daily basis, who may not be aware of their hazardous nature and who may not be provided with protective clothing and devices. These designations of hazardous chemicals to be banned are based on toxicological data generated from incident reports, controlled studies, and the medical literature. Such designations can spare citizens the task of investigating the toxic nature of pesticide products being offered by the professional landscaper, (in order for citizens to assure themselves that such products will not pose an unacceptable risk to their families and their environment). Furthermore, the banning of hazardous pesticides for cosmetic use on turf encourages professional landscapers to use alternative non-chemical means of addressing cosmetic problems on turf. 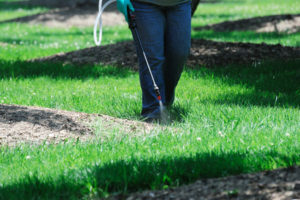 Without this call for alternative methods, the chemical industry would likely be exerting pressure on landscapers to continue using toxic chemicals. The efficacy of these alternative measures has been established by generations of organic landscapers. The banning also encourages home owners to think of ways to create bee/pollinator-friendly habitats (not treated with hazardous chemicals) in their yards. This is a win-win-win situation! In Part 2 we will discuss what can be done by communities and individuals confronted with pesticide misinformation.